November 14, 2011 - Several new fantastic releases to announce for 2011. Tony Khalife "Book of Changes", Monstrauss "Think Tank", and SouthernSwimbait.com "Southern Trout Eaters" DVD. Recording sessions in progress for Helen Loo, Pathetic Honey, The Left Hand Side, among others. So 2012 should have its share of great material as well. Bobby Vega, Chris Rossbach, and Prairie Prince recently cut a track for MTD Acoustic Bass as well which will be released at NAMM. "If you work with loops, and you'd like to explore Brazilian rhythms and instrumentation, this set of 323 loops by renowned Brazilian drummer and percussionist Celso Alberti will more than fill the bill. Besides working with a host of major artists from Airto Moreira and Flora Purim to Steve Winwood, Alberti is an accomplished recording engineer—as reflected in the sound quality of the 24-bit loops included with Celso Alberti Brazilian Drums Volume 1 ($39 retail). The rhythms, which range in tempo from 75 to 130, include samba, bossa nova, partido alto, baião, afoxê and xote. The many instruments include shakers, surdos, pandeiros, reco recos, and tamborims. ReFill, WAV, REX2, and AIFF (Apple Loops) formats are supported. The Reason 5 ReFill version features 30 Dr. Octo Rex patches containing eight loop variations and multiple fills organized by groove and tempo, along with individual instrument samples designed for use with Kong Drum Designer (three patches) and ReDrum (four patches), or any other sample player." March 26, 2011 - In the last few months we have finished two albums (which will hopefully be out soon) by young South Bay phenoms "Monstrauss" and the East Bay's wonderful folk/bluegrass with-a-touch-of polka group "The Skinny", as well as finishing a new single "What We Don't Know" by Jeff Titus featuring bass legend Michael Manring. The song is a beautiful tribute to the late fingerstyle guitar genius Michael Hedges, who remains one of the Monkey's all-time favorite musicians. September 29, 2010 Update - Toothless Monkey Music and its sister studio Bodydeep Music proudly present a new release by a new project "The Left Hand Side". Featuring Jae Hendrickson (Seconds On End, Bacon), Nick Peters (Seconds On End, Soul Patch), Jeb Taylor (Five Eyed Hand), and Ryan Vandenbroek (Bacon) their eponymous first release is a 95% instrumental exploration of reggae, funk, and ambience sure to set a nice mood for any day or night. Also, in the last few months we recorded the first album for the Dead Winter Carpenters, featuring members of Montana Slim String Band. January 20, 2010 Update - Toothless Monkey Music and its sister studio Bodydeep Music proudly present two new releases from Bobby Vega, maestro del bass. First is an instructional video, Bass Lessons in Tone, vol. 1 and the second release is Sketches of Bob, an EP length album that producers may wish to take note of. 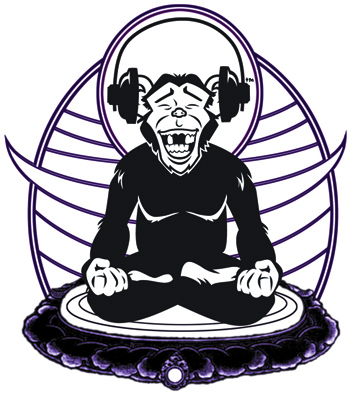 September 9, 2009 Update - Toothless Monkey Music and its sister studio Bodydeep Music are working on instructional videos with master bassist Bobby Vega. Also, Bodydeep Music proudly offers its first release - Seconds On End's 3rd album California Sky. March 8, 2008 Update - Hi folks, great news, non-protected mp3s downloads of all Toothless Monkey Albums are now selling for steep discounts on the CDBaby pages (whole albums only). Just click the CDbaby link on any artist's page to access their store. Please tell a friend - thank you for your continued support of independent music. Soul Patch - Sooner or Later is complete! Soul Patch website here. exclusive free downloads of unreleased material, and special offers.